Catch rabbits, stoats, ferrets, rats and other wild animal pests safely and humanely with our TrapMon® 1083 Easy-Set® monitored live animal cage trap. TrapMon® live capture traps are monitored 24/7 via smart phone, internet and email. We have TrapMon® traps available that can catch anything from a tiny rat to a cat or small dog. 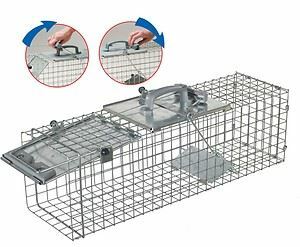 The TrapMon® 1083 live animal capture trap has been designed to provide many years of reliable service. It is made of galvanized wire mesh with steel reinforcements. 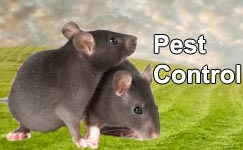 Pest and nuisance animals: Ideal to catch rabbits, rats, stoats, ferrets and others.